It’s not often that paid software is considerably better than free software. Although free or freemium titles can help your PC, sometimes a paid option is better. When it comes to iObit’s Driver Booster, the paid version can certainly help you stay on top of driver updates, issues and restore points better than the free version. We’ve reviewed the paid version of Driver Booster to give you the full picture when it comes to this driver management software. We’ve written about how the free version of Driver Booster works for you, now we’ll show you what super charging it through a paid version can do for you. 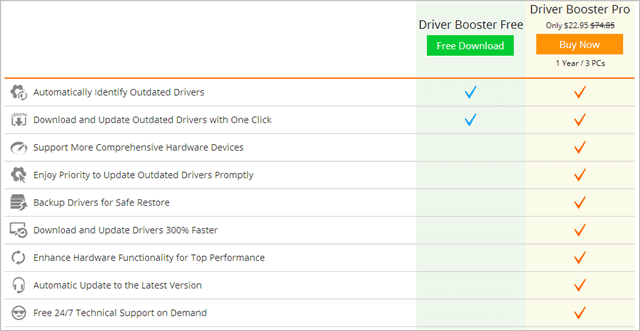 Driver Booster’s free version simply lets you download and update drivers. That’s it. But with the paid version, you get drivers as soon as they’re released instead of when they’re staggered by manufacturers. This means you have the latest drivers when you need them the most, something that manufacturers don’t always push out right away depending on the age of your PC and the OS you’re using. One of the biggest issues a PC user has is when they have to restore a PC and are using outdated hardware. Windows itself doesn’t offer a way to back up drivers and restore them easily. Many third-party applications do, but they’re cumbersome and don’t always work. Driver Booster Pro offers a backup and restore option that lets you save your backup wherever you want – even the cloud – and then restore it with ease. 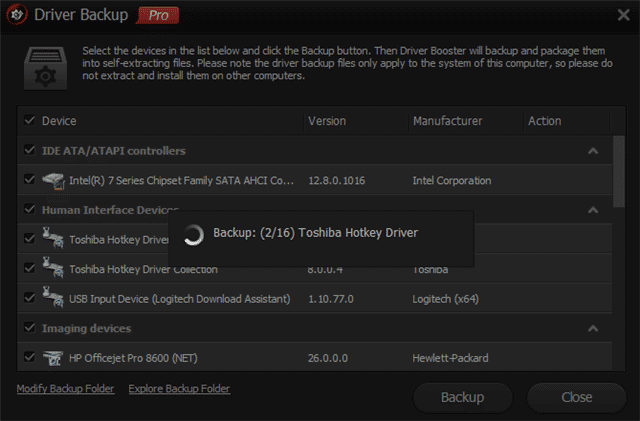 What’s nice about this backup feature is that if you lose everything your PC, so long as you saved them to the cloud, you can restore your updated drivers as soon as possible without Driver Booster or Driver Booster Pro. This comes in handy when you need to get your PC working but need to install drivers before software. 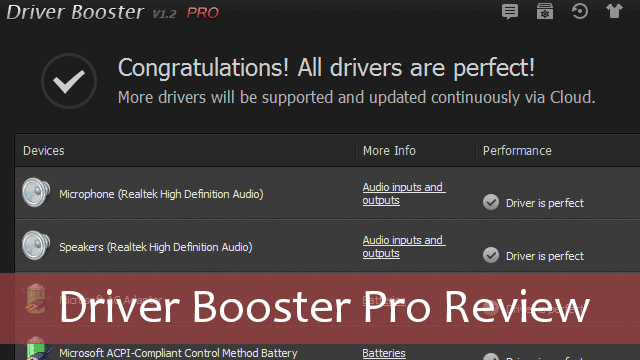 Driver Booster Pro supercharges how quickly you can install drivers. By investing in the pro version, you can download drivers quicker and install them faster which means if you’re having driver-related issues, you can solve them that much sooner. For some of us, waiting for a driver to download and install can take forever if you’re starting it from the manufacturer’s website. Driver Booster Pro eliminates the need to rely on manufacturer’s to get the latest drivers for your PC. Should You Buy Driver Booster? Driver issues are one of the top reasons for a PC becoming unresponsive, unreliable and unusable. Driver Booster can help you keep on top of driver updates in one place, rather than relying on Windows Update, your PC manufacturer or another source to get it done. When you’re having driver-related issues, you want to solve them as quickly as possible before your PC is rendered inoperable. Driver Booster is an essential component to any PC user’s toolkit when troubleshooting issues; Driver Booster Pro can make that process easier for you. Download The Free Version or Purchase Driver Booster Pro. Disclosure: The above company sent me the product reviewed in this site. However, that has not swayed my opinion of their product one way or another. This article may contain affiliate links.